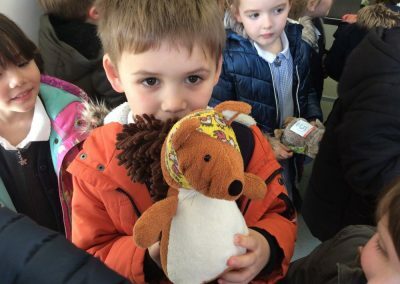 On Tuesday 26th March, Kingfishers Class visited Penrose Vets to consolidate their learning about animals this half term. When we arrived at the vets we met veterinary nurse, Janet. Janet showed us the vets room and talked about what vets do and what animals need. Janet showed the children her pet tortoise called Sheldon. 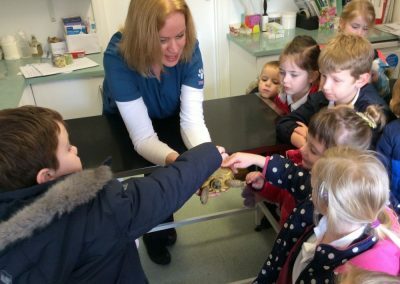 The children listened to Janet tell them all about Sheldon and they all had a stroke of her shell which felt bumpy and smooth. 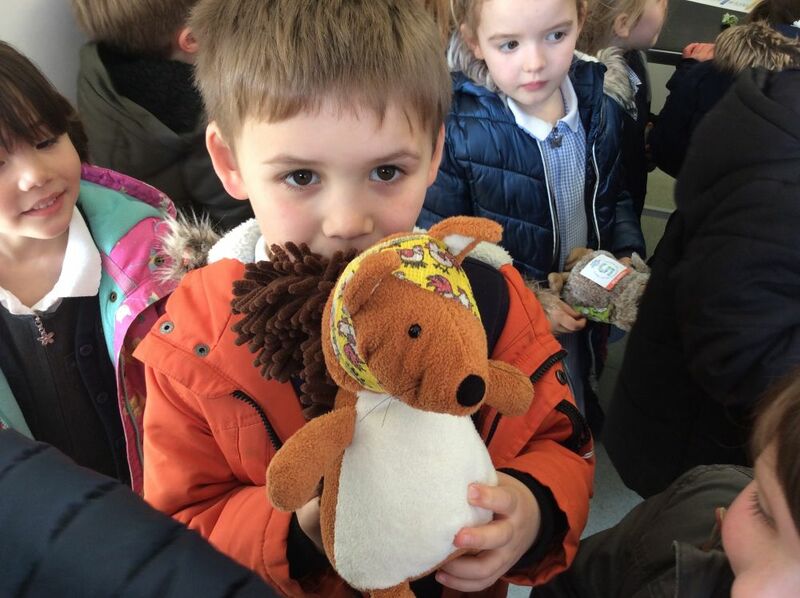 The children took their own animal and told Janet what was wrong with it. A bandage was applied to the correct body part. The children said thank you to Janet and the children walked sensibly back to school. 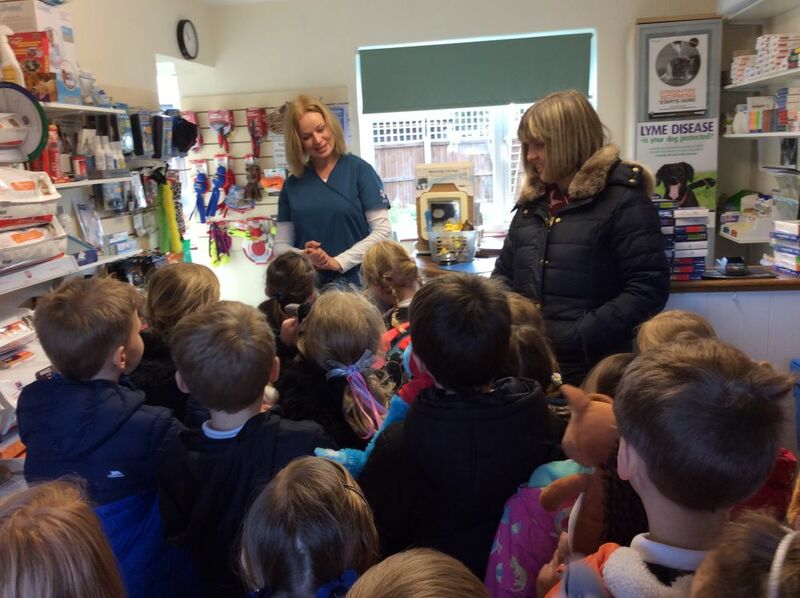 Well done Kingfishers, a lovely visit to the vets. Thank you Penrose Vets for letting us visit!